Dave Matthews Band has just announced the dates for its 2019 North American summer tour. The headline run will kick off on April 30 in Pensacola, Florida and includes a stop in Sacramento at Golden 1 Center on Saturday, September 7 before the tours conclusion on September 22 at the 2nd annual Sea.Hear.Now Festival in Asbury Park, New Jersey. An online ticket presale for members of the DMB Warehouse Fan Association will begin Thursday, January 24, 10 a.m. ET at Warehouse.DaveMatthewsBand.com. 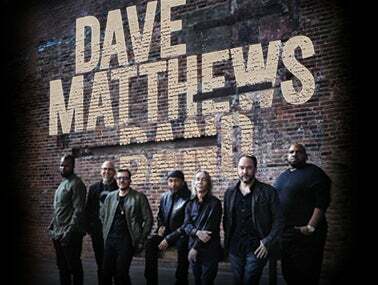 Citi is the official pre-sale credit card of Dave Matthews Band’s 2019 tour. As such, Citi card members will have access to purchase pre-sale tickets beginning February 19 at 10 a.m. ET until February 21 at 10 p.m. ET through Citi’s Private Pass program. For complete pre-sale details visit CitiPrivatePasss.com. Tickets will go on sale to the general public on Friday, February 22 at 10 a.m. local time. For the complete itinerary, visit DaveMatthewsBand.com. Every ticket purchase can be redeemed for an unreleased live recording from DMB’s 2018 tour. Visit Redeem.DaveMatthewsBand.com for more information.